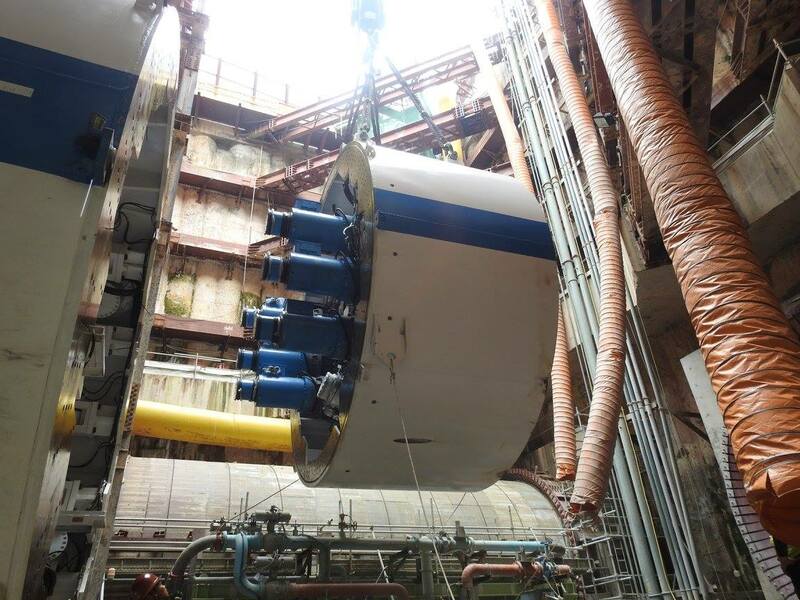 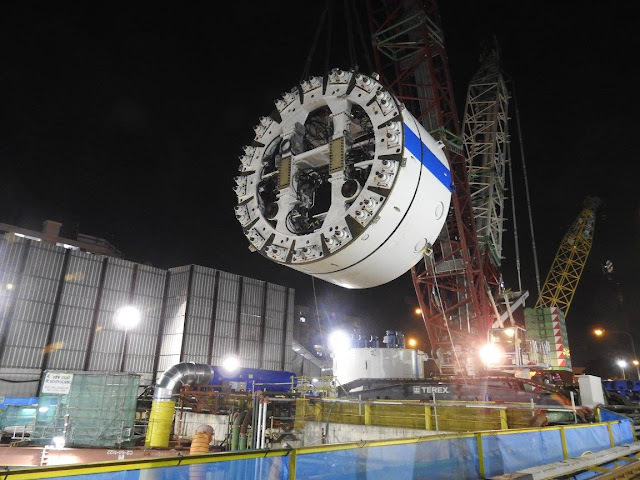 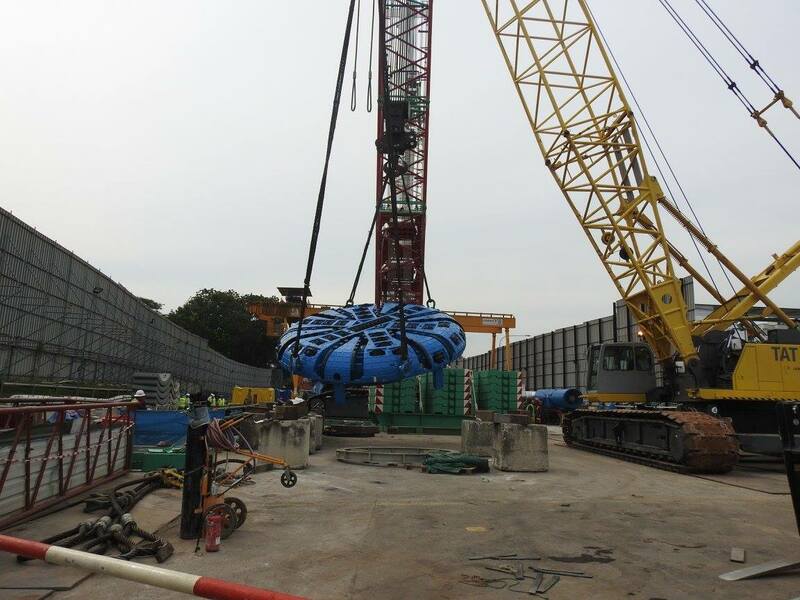 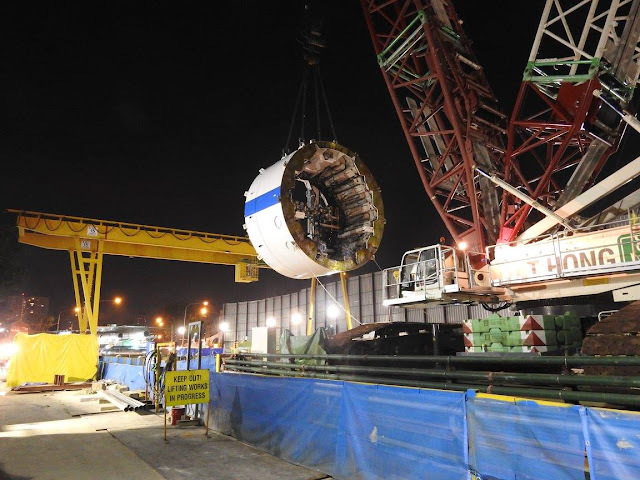 The third TBM for the T212 project was lowered down the Upper Thomson Launch Shaft today following shipment delays. 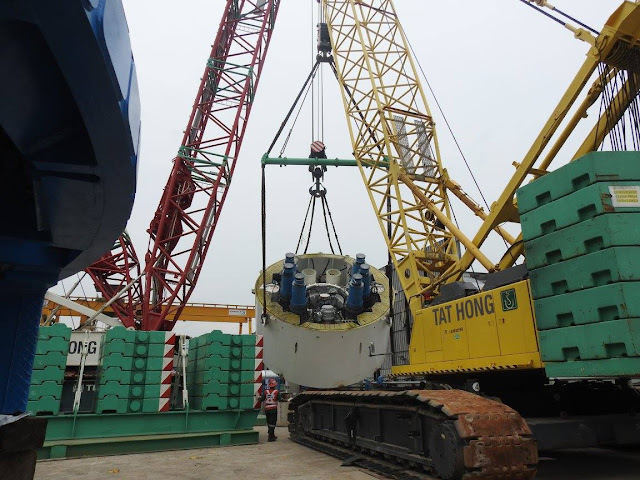 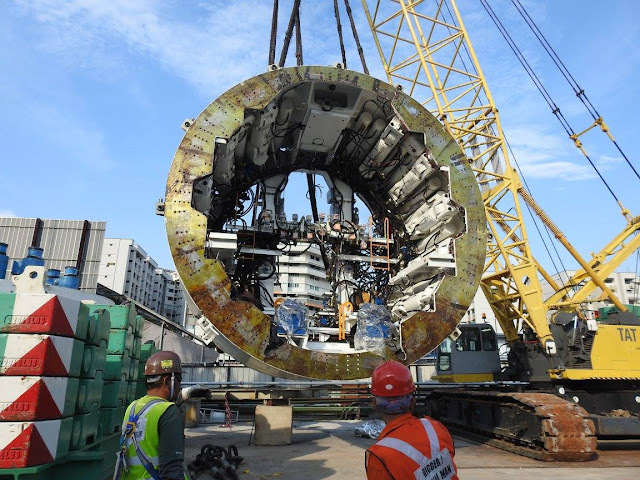 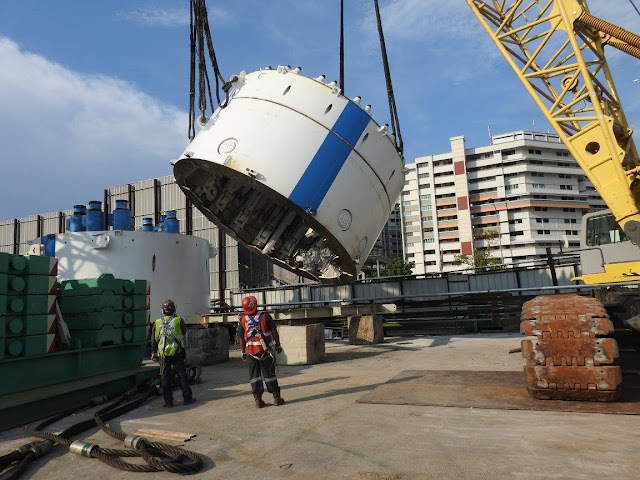 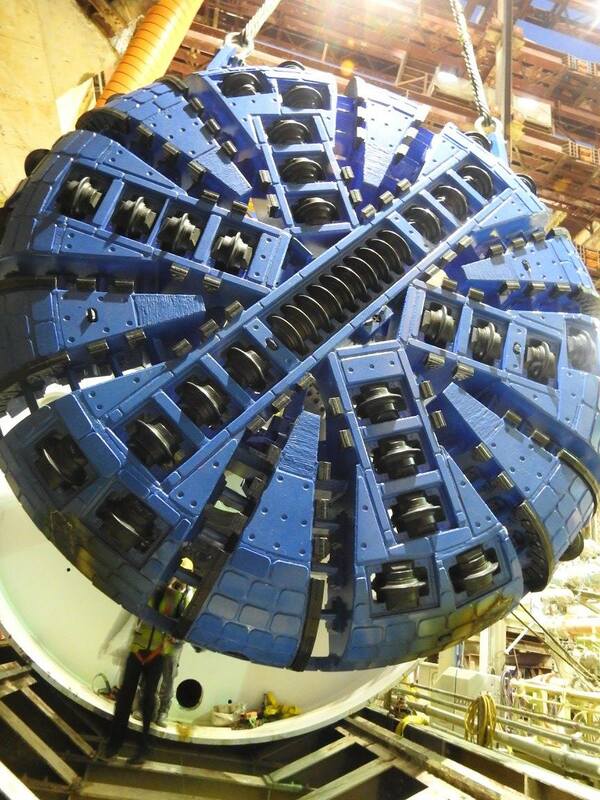 This is the 34th TBM to be lowered for the entire Thomson Line project (C1-C4), and also the last single-drive TBM to be launched. 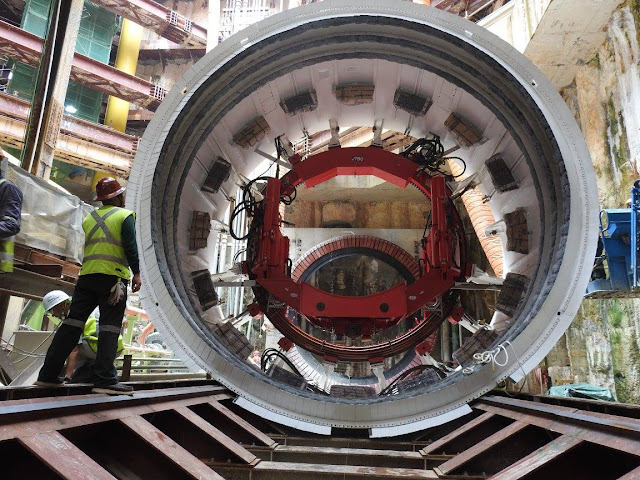 The JTSC Slurry TBM will undergo assembly works within the launch shaft and commence excavation on the 1.36km Woodlands Bound tunnel from the ULS towards Caldecott station by year end. 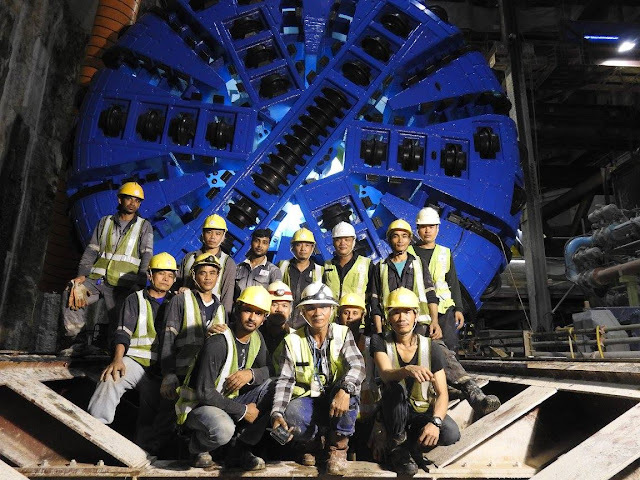 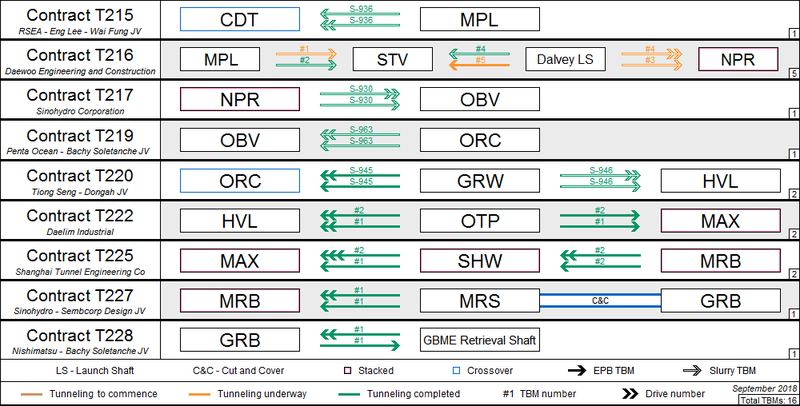 Collaborating with the tunnel team, the lowering process was captured over a span of 30 hours.